Marty Rae’s was founded in 1958 by Martha Rose Carson at 1144 Broughton Street in Orangeburg, SC as a retail store in Orangeburg providing clothes and accessories to the women in Orangeburg and surrounding communities. She expanded Marty Rae's Inc, when she opened Marty Rae's Furniture in 1970 in Orangeburg. Her dream was to provide quality furniture and decorative home accessories that gave customers and their families years of comfort and enjoyment. 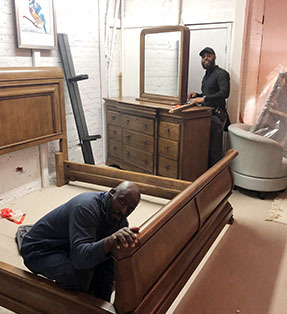 Marty Rae’s - Orangeburg still continues the tradition of keeping customers satisfied by helping them create the look and feel for each room they are dreaming about. The gorgeous and dazzling history of South Carolina and all the trimmings and charm of Charleston, SC, all the way to the great capital city of Columbia, SC - we are confident you will find exactly what you’re looking for in home decor, interior design, and all the accessories and lighting to make each room a dream-come-true. Martha Rose founded Marty Rae’s in 1958. She has a bachelor’s degree in fashion merchandising and a graduate degree in interior design. This knowledge coupled with many years of experience has helped her to create a very unique store that serves those in the low country of SC and surrounding areas. Dean came to work at Marty Rae’s years ago. She loves to help people select furniture that they can enjoy for many years. Dean’s history at Marty Rae – Orangeburg, along with her knowledge and experience of the Orangeburg, and Charleston areas, many of our customers specifically ask for Dean. You can trust in her guidance while navigating the many decisions and choices in home decor. Dean not only handles the day-to-day operations of Marty Rae’s - Orangeburg, but also keeps in touch with clients to ensure the very best in customer satisfaction. Marcia started her decorating career in 1976, and brings a wealth of knowledge and experience to Marty Rae’s - Orangeburg in the areas of home interior design, color psychology, and the details of making your favorite room or living space the most enjoyable journey. With her wealth of area knowledge and a colorful background of diverse experience in many industries, Marcia is excited to get to know each client when they walk through our doors.